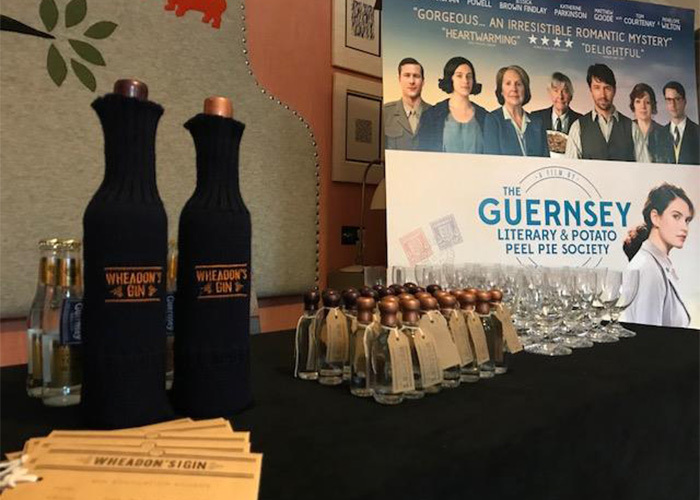 Wheadon’s Gin took a taste of our island home to London yesterday as the official gin partner for the release of the film The Guernsey Literary and Potato Peel Pie Society. The film, which is set in Guernsey, premiered at London’s Curzon Cinema in Mayfair last night and will go on general release in cinemas on 20th April following a special gala premiere here in Guernsey on April 12th. 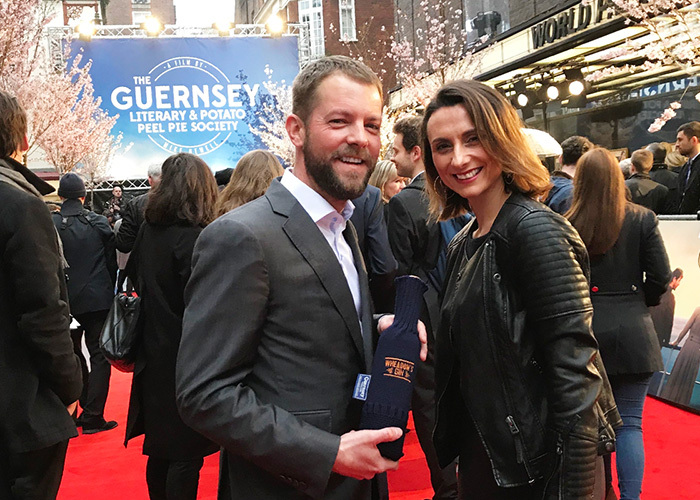 The partnership saw international journalists attending the press day to interview the film’s stars enjoying Guernsey gin and tonics poured from bottles wrapped in special Guernsey jumper sleeves made by our friends at Guernsey Woollens, and miniatures available for press that included postcards from Guernsey in special “Gin Evacuation Scheme” envelopes hung around their necks. 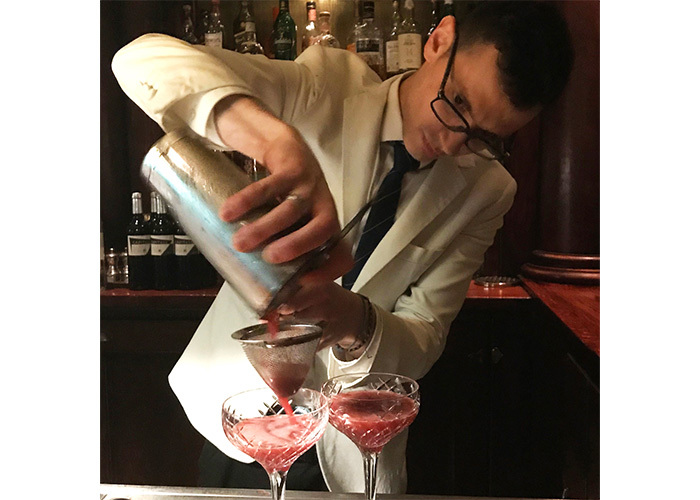 Following the premiere, special Wheadon's Gin cocktails were served to those lucky enough to attend the after party. 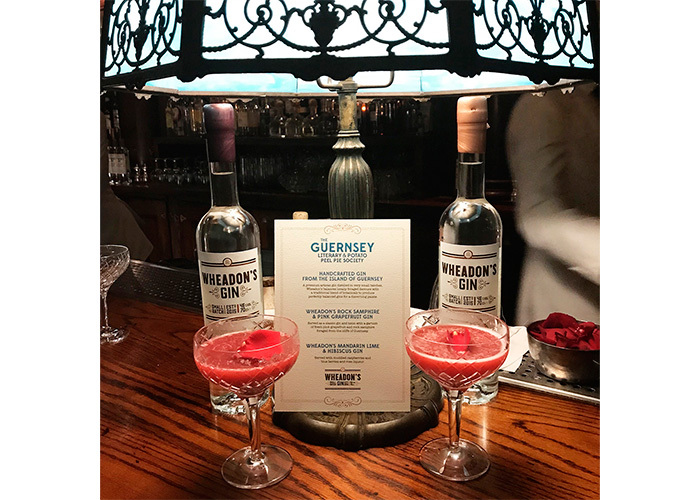 Guests at the Guernsey gala premiere this Thursday will also get to enjoy Wheadon’s and tonics before sitting down to a special celebratory screening. Given the backstory that gave the film part of its title - that of food shortages and culinary ingenuity during the years of occupation – the fact that each expression of Wheadon’s Gin features a locally sourced ingredient (such as rock samphire foraged from the south coast cliffs or mandarin limes grown in one of the island’s rejuvenated glasshouses) made our selection wonderfully appropriate. Alongside various events surrounding the film’s release, we will also be co-hosting a Heritage Festival ‘Occupation Dinner’ at our home in the historic Bella Luce Hotel on May 4th, serving up special pre-dinner drinks in a building that has its own fascinating occupation story involving Luftwaffe officers and a stash of hidden alcohol. The Guernsey Literary and Potato Peel Pie Society will be in cinemas April 20th. See more photos from the red carpet at the World Premiere, here.